She was born into a family of musicians. Her grandfather was an organist and composer, her uncle a French-horn player, her mother was a trained pianist. Her father, originally a clarinettist, was gifted with a fine singing voice, and in 1913 he made his début as a romance singer. He became an ardent promoter of the compositions of the time (Nielsen, Laub, Gade). He also was a highly respected teacher, and it was with him his daughter Else studied. When she was 17, her father brought her to Mattia Battistini (!) and the baritone was enthusiastic in his praise for the young singer’s talent. Subsequently, she went to Paris for a four month’s stay to study the French repertory (with Georges Cunelli and Povla Frijsh) and it was here that her lifelong love affair with French music started. At the age of 20 she made her début in a small concert hall at Copenhagen. 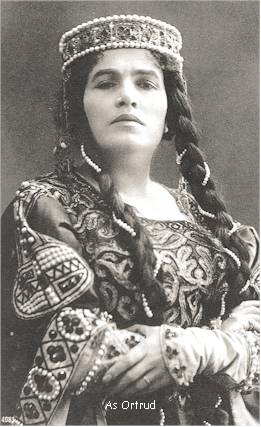 She went for further studies to Mme Charles Cahier (the American contralto and famous interpreter of Carmen taught in Berlin), and later Else Brems returned to Paris. 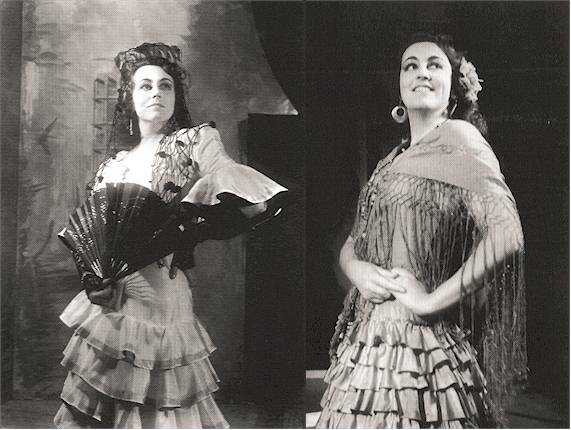 At 21, she made her first appearance at the Royal Theatre Copenhagen as Carmen. Her conductors in the piece included Leo Blech in the first year. It was with this role she made tremendous progress. She appeared as Carmen in Vienna, Warsaw, Budapest, Stockholm and London (in English) within a short time. With few short breaks, Else Brems was concentrated to The Royal Theatre Copenhagen from her début in 1930 until 1962. 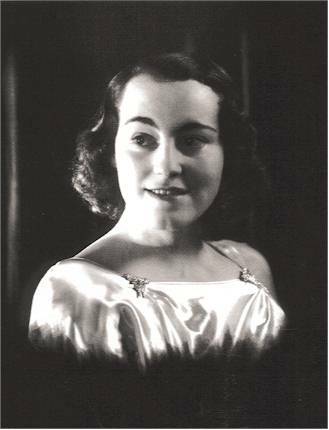 In 1933 she went on a tour in the United States and appeared with the Chicago Symphony Orchestra, singing arias by Gluck, Saint-Saëns and Bizet. Her performances were reviewed with enthusiasm. Her voice was even compared with the young Ernestine Schumann-Heink. Despite her success she was not given many parts back home in Copenhagen, and in 1937 she travelled to New York to study with Beniamino Gigli’s teacher, Enrico Rosati. In 1938 she was engaged as Carmen for the Vienna State Opera by Bruno Walter and Carl Ebert. Her partners included Theodor Mazaroff and Jan Kiepura. 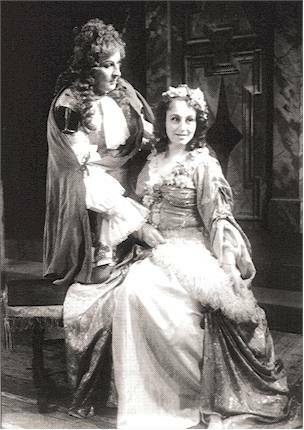 In 1940 she married the tenor Stefan Islandi with whom she frequently appeared together in concerts. During the war she toured the Scandinavian countries and after the war, in 1948, she reappeared as Carmen at Covent Garden. In 1946 she was appointed “Court Singer”, in 1950 “Honorary Artist”, among many other decorations. From 1967 to 1978 Else Brems was a highly respected singing coach (Elisabeth Meyer-Topsoe was among her students). Recital (Arias by Bizet, Saint-Saëns, Gershwin, Handel, Gluck, Hamerik. Oratorios by Handel, Bach, Dvorak, Brahms. Orchestral songs by Ravel. Songs by Schubert, Grieg, Brahms, Heise, Lange-Müller, Berggreen). Excellent booklet! It was not until 1998 when I heard of Else Brems. I was immediately full of praise for this outstanding artist. Time and again I am enthused by her ability “to sing with the heart”. I admire her voice with its special timbre, her wonderful mezza voce and her portamento singing (an art almost forgotten today). She was an eminent opera singer as well as a gifted lieder and oratorio singer (in Danish, German and French). 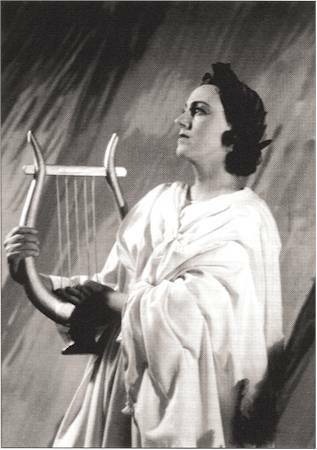 On the invaluable Danacord release you will hear an artist and musician - and above all - a singer who had a completely devoted attitude to music and words (in this, she reminds me of Kathleen Ferrier and Alexander Kipnis). To me, these words characterize the very essence of Else Brems’ art. In addition, I would like to mention her achievements in French music (Carmen, Dalila, songs by Ravel and Debussy), in which she equalls the very best French singers. 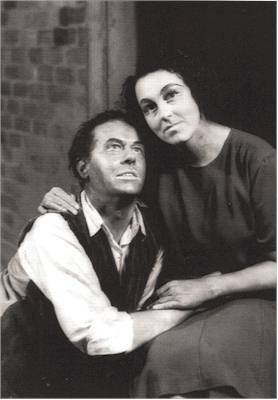 As Bess (with Einar Norby as Porgy). The first European performance of Gershwin’s “Porgy and Bess” took place during the German occupation at Copenhagen, in 1943 (!). Else Brems was the first non-black Bess. There is a stunning excerpt on Danacord.